Blood donor sessions due to be held at the The Shepherds Inn, Rosehill Industrial Estate, Carlisle, CA1 2PR on Tuesday, 24 November 2009 are cancelled. Keswick and District Neighbourhood Forum meeting on Tuesday, 24 November 2009 has been cancelled, any rescheduling will be advised in due course. 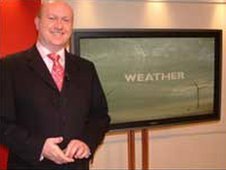 The Catchment Sensitive Farming Event due to take place today at Greysouthen Farm in Cockermouth has been cancelled. Hospice at Home for West Cumbria Support Group meeting will now meet at the Garden Room at the Methodist Church on Lawson Street in Cockermouth from 10am until 12 noon on Tuesday, instead of at the United Reform Church. The Mince Pie and Mulled Wine evening due to be held at the Helena Thompson Museum at Workington on Wednesday 25th November has been cancelled due the current road problems. All monies paid will be refunded from your ticket seller. Northern Rail expects to run a normal weekday service on the Cumbria coast line between Carlisle and Barrow on Monday, 23 November. Some trains will have one additional carriage to help as many people as possible to make journeys by rail that are difficult or impossible by road or other forms of public transport. Customers can check timetables and find out the latest travel information by visiting the Northern Rail website , calling Northern customer relations on 0845 0000 125 from 0800 to 2000, or contacting National Rail Enquiries on 08457 48 49 50. Keep listening to BBC Radio Cumbria for details from the emergency services and other agencies. You can tune in on 95.6FM, 96.1FM, 104.1FM and 756, 837, 1458 MW or via your PC using the 'Listen Live' link at the top of this page. Do not try and unblock drains yourself. Look out for vulnerable friends and neighbours. Have torches, mobile phones, waterproofs, water, radios with batteries, medication and other essential items at hand in case you cannot get home or need to be evacuated. Cumbria police have opened a casualty bureau. Members of the public can now telephone either of these numbers 0800 0560944 or 0207 1580010 should they have any concerns regarding relatives, friends and family who may have been involved in the flooding incident and who have not had any contact with them. The Rural Payments Agency office in Workington will be closed today. otherwise please don't come in. Check on the company helpline from midday tomorrow for an update ... 0800 917 1812. The Carlisle office is not affected and will open as usual. 1 bus an hour, at 5 minutes to the hour, from Northside to Maryport. 4 buses an hour from Maryport to Workington and return - times are dependent on road traffic conditions. 1 bus an hour, at 25 minutes past the hour, from Maryport to Northside. Service 300 will be departing outside Northside School and operating as timetabled to Carlisle. South Street Surgery in Cockermouth will hold an emergency surgery at Cockermouth Cottage Hospital from 9am. Arrangements are being made to relocate some Cockermouth GP services to Cockermouth community hospital. To accommodate the temporary move, some hospital day clinics due to take place may need to be rearranged for next week. Patients can contact the South Street Surgery on 01900 324123, or the Derwent House Surgery on 01900 324100. Patients with non-urgent appointments are asked to rearrange their appointments or contact NHS Direct on 0845 4647. Those requiring information about changes to hospital clinic times can contact Cockermouth community hospital on 01900 822226. For an urgent GP service outside normal surgery hours call Cumbria Health On Call on 01228 401999. Allisons Chemists have managed to open a temporary limited service in Tithe House on Station Street, opposite Sainsbury's in Cockermouth. Their shop on Main Street was flooded to the ceiling but they have their customers records and very limited supplies. 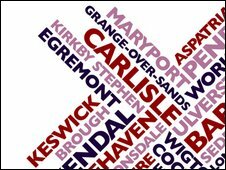 Keep listening to BBC Radio Cumbria to stay up to date will all the latest information about the weather, closures and cancellations and travel news.